Add some glamour to your kitchen in minutes with this fashionable Venus MK2 Kitchen Mixer. 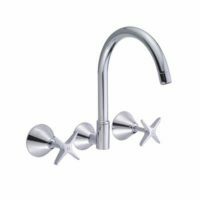 Featuring a contemporary curved swivel spout with dual levers, this impressive tapware presents the perfect mix of practicality and style. The long spout makes this tapware convenient to use while its clever design offers easy installation. 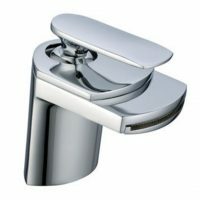 Available in an elegant chrome finish, this tapware features solid brass construction that will easily withstand many years of heavy usage. It is also equipped with a ceramic disc cartridge – this allows precise control over the water flow and water temperature. Furthermore, it can be operated with hot and cold water hoses alike. 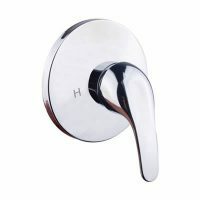 A high-quality product, this tapware has a 5 star WELS rating and is also Watermark approved. It also has a water consumption rating of 5 litres per minute. Alpine is a manufacturer known for producing quality tapware and the Venus MK2 Kitchen Mixer no different. As a mark of quality, Alpine offers a 5 year guarantee on the tap body, a 2 year guarantee on the cartridge and a 1 year guarantee on the finish. Give your kitchen a touch of glamour in a flash by installing the Venus MK2 Kitchen Mixer by Alpine. For the best possible prices, purchase it today from Ross’s Discount Home Centre and enjoy free Perth Metro Delivery!